You can use the bar open 24 hours a day, relax in the entertainment room where you can read or watch TV . If you are in town for business, we have a conference room which seats 20 and can equipped as you need. If you are in town for pleasure, you can bring your cat or dog along, we welcome all pets. 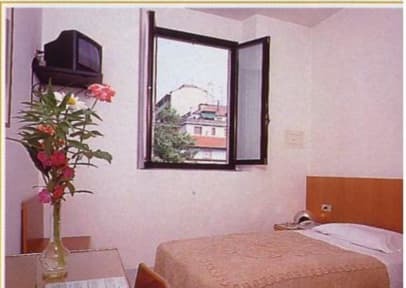 To make your stay more comfortable, if you come to Milan by car, our garage, the price is 20 euro for night! For Culture, we're just a few minutes from Universit Statale, which is located in an old 15th century hospital (the facade on Via Perdono is worth seeing) and the Duomo is not to be missed. It is one of the largest Gothic cathedrals in the world and symbol of the city and has spectacular arches and play of spires and buttresses. 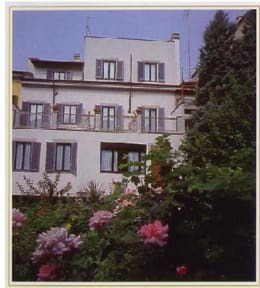 From here head to nearby Teatro alla Scala, the temple of opera and classical music, famous throughout the world. You can also visit Teatro Ciak in the vicinity of the hotel (50 meters). And then a trip to Brera, one of the most elegant quarters of the city and with its Pinacoteca Nazionale, which is home to numerous masterpieces of Italian art: including Raphael's Marriage of the Virgin, Mantegna's Dead Christ, Piero della Francesca's Montefeltro Altarpiece and many others. A couple of metro stops will take you to Castello Sforzesco, the medieval castle of the Visconti and Sforza families. Don't forget to make reservations to visit the wonderful Last Supper by Leonardo da Vinci in the Refectory of Santa Maria delle Grazie. The staff were lovely and really helpful and accommodating. A 30 min walk from the train station. Great value for money. A great 3 star hotel. We opted for the shared bathroom, which wasn't ideal but kept the cost to a low level. it worked out really well. The staff were very helpful. the breakfast was perfect for, good quality and enough choice to tempt even anyone. I had a very basic small room with shared bathroom. The staff is very friendly, the breakfast is very good, and it's not too far out of the center. The internet connection is very decent. The only real issue I had was that there was no A/C in my room, and the room was right next to a busy street, so I couldn't open the window to cool it down at night (too noisy). This should not be much of a problem for heat loving folk like me, or when the weather is less hot. Overall a great place. All was pretty good, good breakfast service and facility. I would totally stay there again if the male receptionist wasn't there. He was super creepy and tried to touch me a few times. And would kind of linger near me when I was on the patio. Really creeped me out, at one point he creeped behind me and touched my hair, not cool! The room was quite tired looking which made it seem unclean but it was just a very basic room that was clean. Very basic breakfast included, overall a decent place to stay for the money. Basic, clean accommodation. Location is quite a distance from the city centre and in a very tired part of town. Bed was quite uncomfortable - foam mattress on a steel frame, so glad I only had one night there. Staff were very helpful. The hostel is far from the metro stations and about a 35 minute walk from the central train station. Only one bathroom for an entire floor of people. Beds are small, but a private room had a decent amount of space. Staff spoke English which was nice and they let me keep my bag at reception after I checked out. This was a frustrating stay. When checking out, they tried to charge us 16 euro in city tax on top of the fee. We told him our booking was all inclusive of taxes, he argued with us and told us to pull up our reservation. We pulled up our booking and it said fees were inclusive of all taxes. He stilled argued with us for another 20 minutes and when taking our card even tried to charge extra with out our permission. The corridors, oddly enough, smelt like a crack - a nauseating smell! I dont recommend it to anyone! We have very bad opinion about this hotel. After I paid the deposit and get a confirmation e-mail, they wrote me an e-mail, which said there is no room at this price, than they wrote there is no room in this period. They gave me a "special price" which was much higher then my confirmated reservation. So they lied my and they thought me I am stupid. They paid the deposit back but I dont recommend to anyone!